Click play to listen. Enjoy! 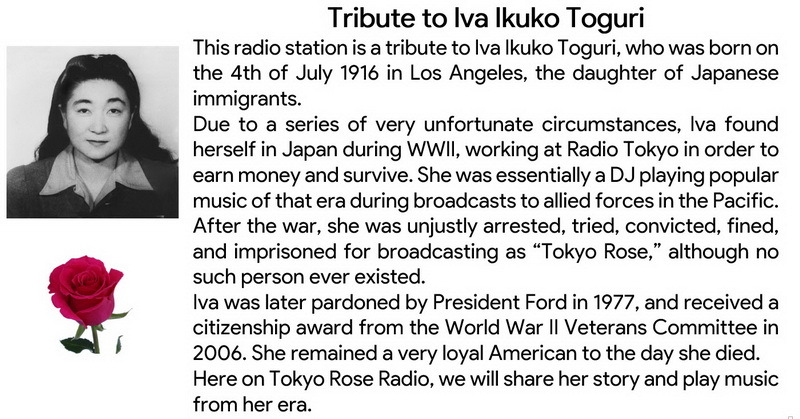 Thank you for supporting and listening to Tokyo Rose Radio!